Trees are an important element landscape, residential and commercial. While ill-kempt trees mar the beauty of the surrounding and reflect badly on the property owner, well-cared for trees add aesthetic appeal and value to the property. In Steilacoom, WA, home and business owners can maintain their beautiful landscape by utilizing the expert tree care services of Hunter’s Tree Service. Our family owned and run, fully insured tree care company has been serving Steilacoom since 1986 with tree service delivered by certified arborists and trained tree care experts. Our tree service results in perfectly structured and thriving trees. 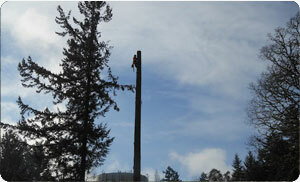 Steilacoom residents should see tree service not as an expense, but as an investment. Our affordable tree care service charges are sure to pay them many times over by drastically increasing the demand for and resale value of their properties. 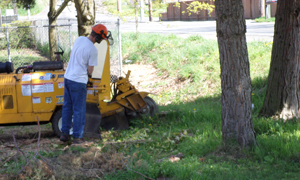 Whether it is tree trimming to give attractive shape to the trees or tree removal to take away diseased or damaged trees, our tree service is designed to showcase the trees on our Steilacoom customers’ properties at their best. 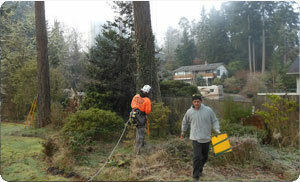 Tree trimming is an important part of tree care services we deliver in Steilacoom to cut away diseased and overgrown tree branches. It is a tree service that needs to be done with extreme caution and concern for the trees as haphazard tree trimming does more harm than good. So, we make sure to employ only trained and experienced tree care professionals to carry out all the tree trimming and pruning jobs. Steilacoom property owners in need of tree trimming and other tree care services should call Hunter’s Tree Service at (253) 245-3939.